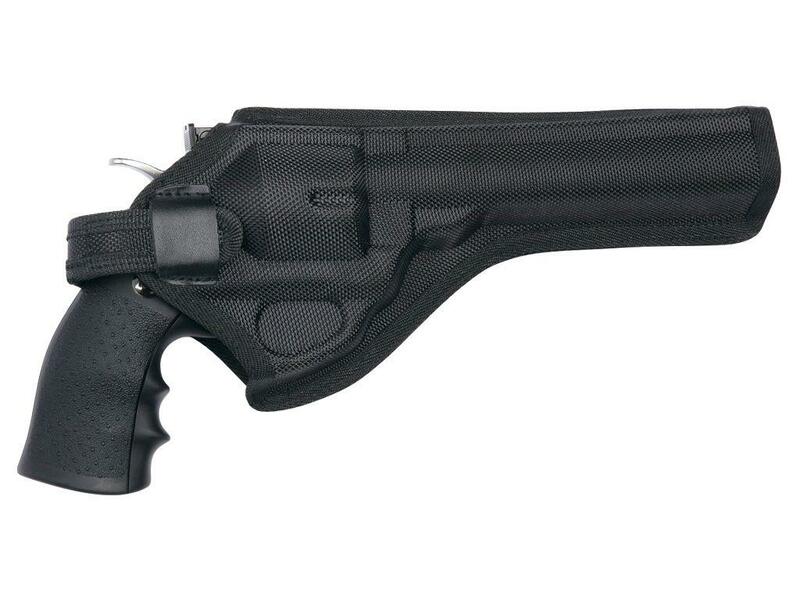 Buy ASG DW Revolver 6 Inch - 8 Inch Black Belt Holster |ReplicaAirguns.ca | New Website! 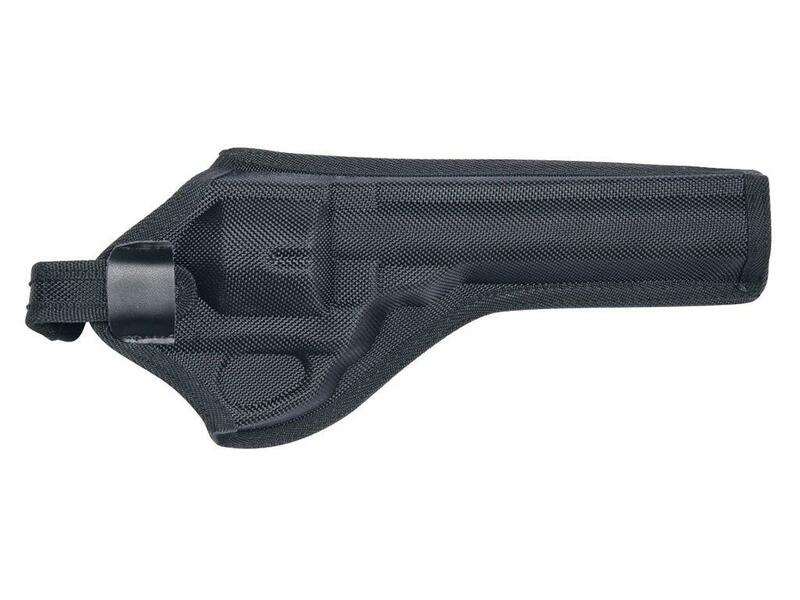 Comments: This right handed form-molded belt holster by ASG is designed especially for the Dan Wesson 6 or 8-Inch revolvers. To ensure a perfect fit, the holster has been molded to fit the contours of the revolver, making the holster display clear outlines of the gun, so it looks good attached to the belt. A soft inner lining protects the finish on your gun. The ballistic nylon construction ensures durability and also has an adjustable strap.